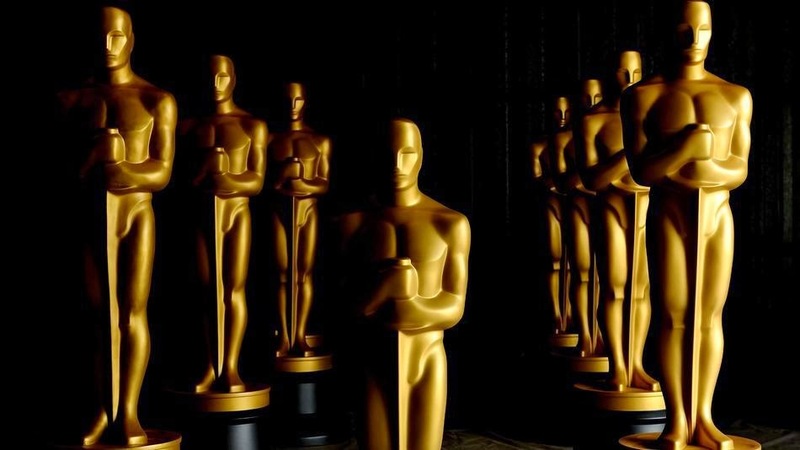 Okay ladies and gentlemen, it is time for me to pick my winners for this year's Oscars. This year could end up being the most surprising year we have had in a while. There are a lot of categories that are still up for grabs, including the Best Picture race. Usually, we always a frontrunner, but this year it seems like it is anyone's game. So, I have a strong feeling that some of these predictions will not go the way I was thinking. But, we will find out tomorrow night. *My predictions are underlined and in bold. So, I can't remember the last time the Best Picture race was so crazy. Right now, it seems like the race is between two films: Gravity and 12 Years a Slave. But, do not count out American Hustle. The film has a lot of support in Hollywood. I do believe it was good film, but I do not it should win at all. Russell's previous nominated film Silver Linings Playbook was definitely a more deserving film. My pick, though, at the moment is 12 Years a Slave. Gravity is a visual masterpiece and it deserves every technical award it will receive on Oscar night, but I feel that 12 Years a Slave is the more deserving film and a better overall film than Gravity. If I was voting, though, I would have voted for Her. But, my vote doesn't matter, so I'm going with 12 Years a Slave. I think Cuaron deserves the award because of the challenging process of creating the world for Gravity. I think this is an easy pick and this is category that could really help Gravity win Best Picture. But, I think the Academy is going to spread the wealth this year. Early on in the Oscar race it seemed like the battle was going to be between Chiwetel Ejiofor and Tom Hanks for Captain Phillips. Months later, though, Ejiofor is no longer the frontrunner and Tom Hanks did not even gain a nomination (which I am still upset about by the way). Now, Matthew McConaughey has made his way from being the actor who wasn't going to get a nomination to the frontrunner. He has taken most of the major awards so far and he has had some amazing work within the past year, including True Detective (which could really help him win), The Wolf of Wall Street, Mud, and a number of other films. Some people still argue that McConaughey should have been nominated for Best Supporting Actor last year for Magic Mike. If McConaughey wins this year it will be an award that is not just going to his amazing work in Dallas Buyers Club, but all of his performances for the entire McConaissance. The Academy does not judge just one performance. If they did then Eddie Murphy would have won a number of years back when he was nominated for Dreamgirls. But, he released Norbit during the month of the Oscars and in turn he lost his possible Oscar. Also, watch out for DiCaprio. He has been getting a big push lately and he could be a spoiler here. It should be Cate Blanchett plain and simple. Amy Adams is apparently getting a push, so that makes her the spoiler here in this category (even though I feel Emma Thompson should have been nominated over Adams). But, I'm just going to be honest, Blanchett gave the best performance by any actress last year. Sandra Bullock did a phenomenal job as well being is she pretty much carried the movie, but I don't think she will pull a win out of this. But, never count out Streep and Dench. Leto is the frontrunner in this race it seems. He has taken home most of the major awards so far. His performance is great and it is overshadowing some great performances from Michael Fassbender and the newcomer Barkhad Abdi. But, I feel that Leto is the one who will take home the Oscar. Yes, it will be interesting. I think the Best Picture race is tougher to call then the Best Supporting Actress race. If it was anyone else in Lawrence's role for "American Hustle" then they probably wouldn't even be talked about I feel. Now, I like the entire cast of "American Hustle". I love their work overall, but I do not feel they should win any Oscars tonight. For 12 Years, I feel that it is a better overall film, especially with story. In my opinion, if you cannot be nominated for Best Screenplay then I feel it is harder to argue that the film should win Best Picture. That's what happened to Avatar when it went agains The Hurt Locker.